Mary Louise Fowler, age 83 of Puryear, TN, died Thursday, November 29, 2018, at her residence in Puryear, TN. She graduated from Dundee Central School in Dundee, NY, then graduated from Arnot Ogden Nursing School in Elmira, NY. Louise retired from the healthcare field after working many years as a registered nurse. 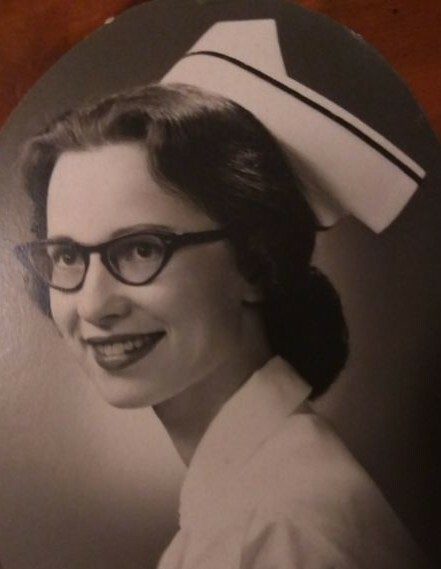 She devoted her life to her work as an RN, serving in hospital nurseries her entire career. She enjoyed spending time at the senior center in Murray, KY. She was a Christian, attending several churches and was Methodist in faith. Louise was born September 15, 1935, in Hoboken, New Jersey, to the late Clarence Ferry and the late Mary Elizabeth Robinson Ferry Christensen. She first married John Fowler Sr., then married William Fred Nelson both whom preceded her in death. She is survived by one daughter, Sally Rebecca Fowler of Puryear, TN; two sons, John F. Fowler, III of Puryear, TN, and Robert Burnside (Jennifer) Fowler of Kannapolis, NC; one sister, Edith (Dan) Mclachlan of Moscow, ID; one brother, Carl Christensen of Corning, NY; and five grandchildren, Jack Fowler Drake, Russell Boardman, Jacob Fowler, Josh Fowler and Zach Fowler; and three great grandchildren, Addyson Drake, Emma Drake, and Shelby Fowler. Along with her parents and husbands, she was also preceded in death by one brother, Ed Ferry. Arrangements are being handled by Ridgeway Funeral Home, 201 Dunlap St, Paris, TN. The body is to be cremated with no services planned.